In most cases, we don’t touch upon the obvious plays. There are other Start/Sit articles (I won’t name names) that will tell you to start James Conner this week because he is going against a Broncos run defense that has struggled this year. No, you start him because he has rushed for 10 touchdowns and had five 100-yard games this year. You start him because he’s a stud! This is obvious to anyone (except maybe Le’Veon Bell’s camp) that follows football. We don’t list obvious plays so we can look like we are smart when the obvious plays do what obvious plays do. That doesn’t help you. We try to look at some of the plays that are questionable and give you insights on those. Admittedly, I really don’t love a lot of the Quarterback options this week. Most of them have flaws. I was going to write up a Tampa Bay QB for the millionth time but I am done with that circus (though the Tampa Bay offense is still good). I am going with Kirk Cousins this week. This might seem like an obvious play since he is the highest paid QB in the NFL. However, he has not been playing well of late. He has gone over 20 fantasy points only one time in his last 6 games. But, I am banking on a high scoring affair against the Packers and a “get well” game of sorts. In Week 2 at Green Bay, Cousins threw for 425 yards and 4 touchdowns. Certainly, it is hard to predict those kinds of outcomes but it gives us hope that he can get going again with this same opponent coming to town. 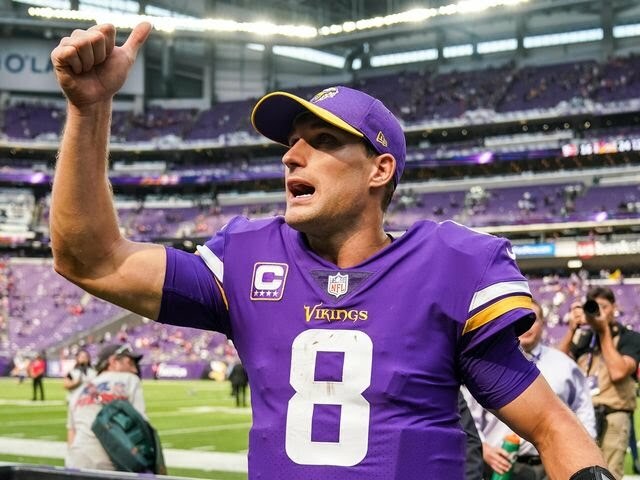 In the only other Green Bay game, Cousins threw for 375 yards and 3 touchdowns with 0 interceptions in November of 2016. Green Bay is playing better defensively lately but they still are not dominating. Manning hasn’t stunk lately so people are starting to talk about him as being fantasy relevant again. There is a difference between fantasy relevance and fantasy goodness. Manning has only had one game of 20+ fantasy points (ESPN) all year. Yes, he’s had three others in the 19’s but the point is to win your matchup this week, not be competitive. 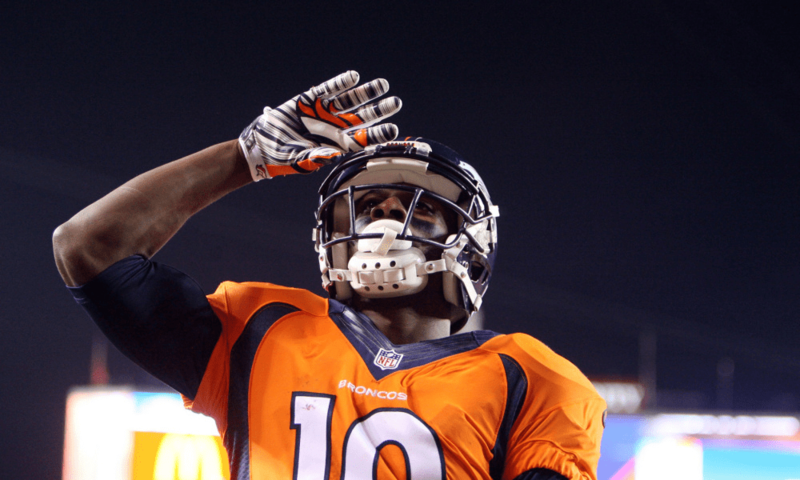 At best, Manning is a serviceable (relevant) Quarterback. At worst, he gets you single-digit points and sinks your team. I don’t want this kind of range of outcomes. The Eagles are not playing well but they also weren’t necessarily playing well in Week 6 when Manning failed to reach 300 passing yards or have any touchdowns on his way to 9.2 fantasy points. This was at home, no less. In his last 5 games in Philadelphia, he has averaged 262 passing yards while throwing a total of 5 touchdowns to 7 interceptions. You can do better. You must do better than Eli this week. If you are only watching game logs and take a quick look at Mack’s from the last two games, then you might not be very interested in him. Both games were weird for him as he went up against the 9th ranked Titans rush defense and the 8th ranked Jaguars rush defense. 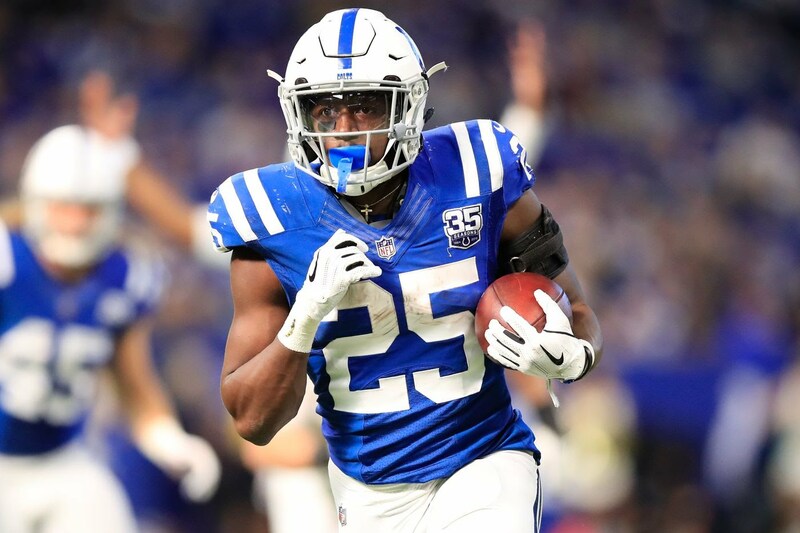 I can’t guarantee you that he’ll be better this game but getting 16 carries and scoring a touchdown last week tells me that he is still the man in Indianapolis. Going off that premise, I like the fact that he has a nice bounce back spot against the lowly Dolphins this week. The Dolphins are 27th in yards per carry allowed (4.85). In Weeks 7 and 8, Mack averaged 129 rushing yards on 22.5 carries per game. I would expect this kind of production once again. I expect Mack to help himself to some Thanksgiving leftovers and eat in this game. The Patriots don’t have a dominating defense but they also don’t give up too many big plays. They also tighten up in the red zone. Crowell is not good but he is used in the red zone and has had some big plays this year. I don’t expect much success from Crowell against the Patriots in these areas on Sunday. Crowell has only topped 100 rushing yards twice all season. If you play Crowell, you are essentially crossing your fingers and hoping. That is not a good strategy. If you take out his two 100+ yard games this season, then the most he has had otherwise is 49. I am not very hopeful. Sanders has been struggling a little bit lately, but this is just the game that can change all of that. The Steelers secondary can provide a get-well game to anyone. Sanders hasn’t topped 100-yards or scored a touchdown in the last three games. He has seen 19 targets, which isn’t terrible but not what we’ve come to expect from him. He has had three games this year with 10+ targets and in all of them, he has had 100+ receiving yards and a touchdown. As a side note, doesn’t it seem weird when you see a stat like this and then you wonder, can’t coaches see this also? Why wouldn’t they get him at least 10 targets in a game because only good things have happened so far. But, I digress. Even though I say he’s been struggling, really he just hasn’t been big game Manny. He still has hit double-figure fantasy points (ESPN) in all but one game this year so his floor is solid and his ceiling is high. Also, if you believe in this kind of thing, Sanders used to play for the Steelers. In 2015, he put up a 10-181-1 stat line. The next year, in the playoffs, he went for 85 yards on 5 catches. I think this game has sneaky shootout potential and if that is the case then Sanders could be in line for one of those ceiling games. I was all set to bash Devin Funchess in this write up and then he went and didn’t practice again on Friday. He is doubtful to play Sunday against the Seahawks. He was already doubtful in my mind to produce on Sunday so that’s that. Instead, I will implore you to re-examine your decision to start Golden Tate because he is Golden Tate. He is one of my favorite football players. In fact, I believe that he makes the Philadelphia Eagles better on the field. I don’t believe that the trade to Philly has made him better from a fantasy perspective. Certainly, the past two weeks have shown this but even going forward, I am not sure how much fantasy goodness we can expect out of Tate. He has only had 7 catches for 67 yards in his two games with the Eagles. He plays a lot from the slot and there is competition for those over the middle catches from TE Zach Ertz. He has the Giants this week, who surprisingly have yet to give up a slot touchdown all year, while giving up the 8th fewest slot catches (6.3) all year (slot stats via Matthew Berry). With O.J. Howard out for the season, Brate should be owned in all leagues at this point. 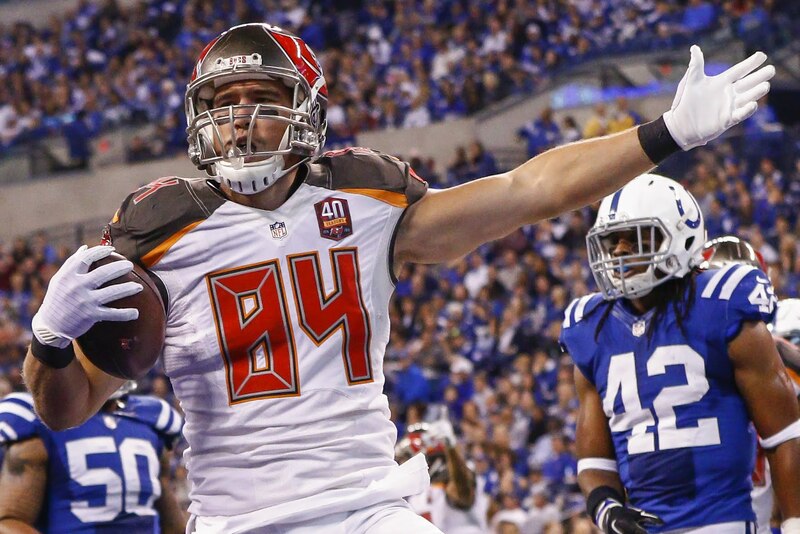 I don’t know what his production or usage will be but I know that Tampa Bay’s offense has been fantasy friendly this year and the Bucs TE position (Howard and Brate) have seen 7.5 targets per game. You cannot look at Brate’s game logs and know for certain what to expect but he has hit double-figure fantasy production twice this year in Week 3 and 4. But, he has yet to catch more than 3 passes in any game this season. From a sheer volume standpoint for this offense overall and the fact that there is nobody else, I’d fire up Brate this week. The TE position is typically a crap shoot so you might as well gamble a little bit with the game that has the highest projected total of the weekend (54 o/u). RSJ should be good but hasn’t been this year. He has shown some glimpses, especially in Week 6 and Week 10 when he had 5 catches in each of those games. He has had double-figure fantasy points in only three games this season (topping out at 11.9). That is not a stat that should give you much confidence. Throw in the fact that Jermaine Gresham is playing more snaps and I am going to stay away and look elsewhere this week against the Chargers – who are very good against the TE position. Related Items#CPGMFantasyFootball2018 Fantasy Football2018 Fantasy Football Lineup2018 Fantasy Football Start/SitCameron BrateEmmanuel SandersFeaturedKirk CousinsMarlon MackSitStartStart and SitStart Em Sit EmStart Sit DecisionsStart/SitStart/Sit Fantasy Football Week 12Start/Sit Week 12Week 12 Fantasy Football Lineup DecisionsWeek 12 Start/SitWeek 12 Start/Sit 2018Who should I start in Fantasy Football Week 12?Who should I start in Fantasy Football?